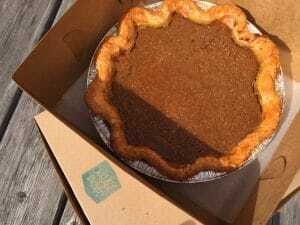 Thanksgiving Made Easy with Pie Orders | Village Baking Co.
Don’t let the temperature outside confuse you — it’s not mid-January, it’s mid-November, and Thanksgiving is just a week away! 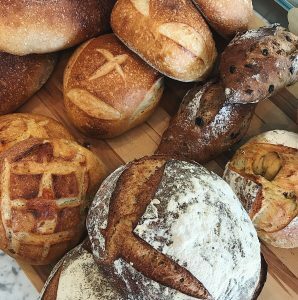 The Thanksgiving holiday is a favorite for us at Village Baking Company because it’s all about coming together with loved ones to share gratitude and amazing food! (That’s basically what our bakery was built on.) Whether you’re a meticulous-week-long-prep person or a I’ll-wing-it-the-day-of kind of person, every Thanksgiving meal takes time and effort. We want to help make your Thanksgiving as easy and delicious as possible, which is why we’re taking orders for Thanksgiving pies! Thanksgiving pies are a yearly tradition for us. 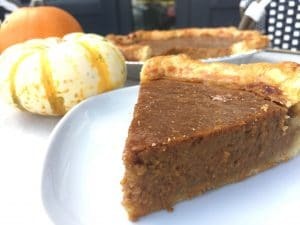 We make so many pies for pickup that we actually refer to the holiday internally as “Piemageddon.” This year, we’re offering pumpkin, apple, and maple bourbon pecan pies for pre-order. You can call either Village Baking Company location in Dallas to place your order from now until Monday, November 19th, at 9 AM. We will have some pies available for walk ins on Wednesday, but to be sure you have a pie waiting for you, you’ll have to place an order. Whether you’re hosting the big dinner or you need to bring a delicious side or dessert, we want to make things as easy as possible for you! Don’t let the stress of preparing a meal overshadow the time you get to spend with the people you love. 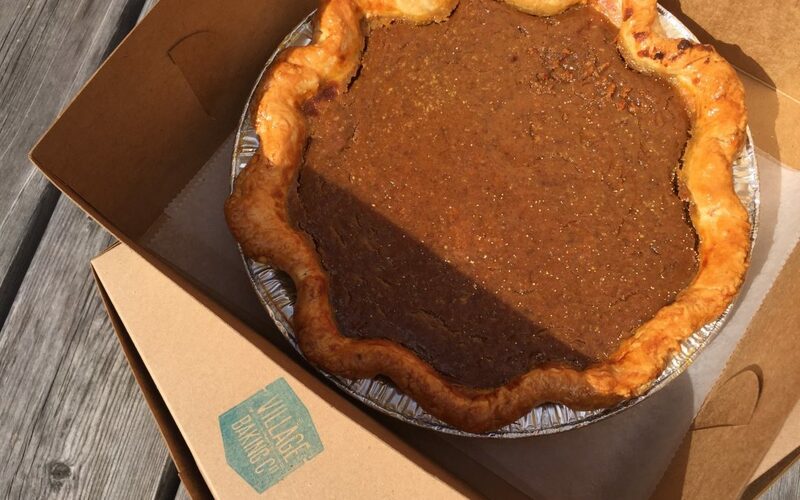 You can place your Thanksgiving orders for pies and bread by phone or in person at either Dallas, TX Village Baking Company location until Monday, November 19th at 9 AM. We will close at 3 PM on Wednesday, November 21st, and reopen with normal hours on Friday, November 23rd. Contact us at 214-951-9077 (Woodall) or 214-821-3477 (Greenville).